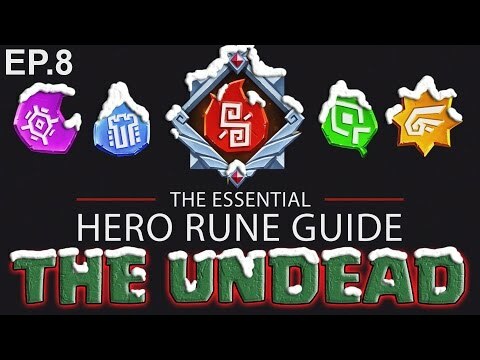 We've been working on a new Hero Rune Guide series of videos that we think some of you may find useful. Our aim is to cover as many heroes as possible, and we want the community to help us decide who we're going to use for the up coming episodes. 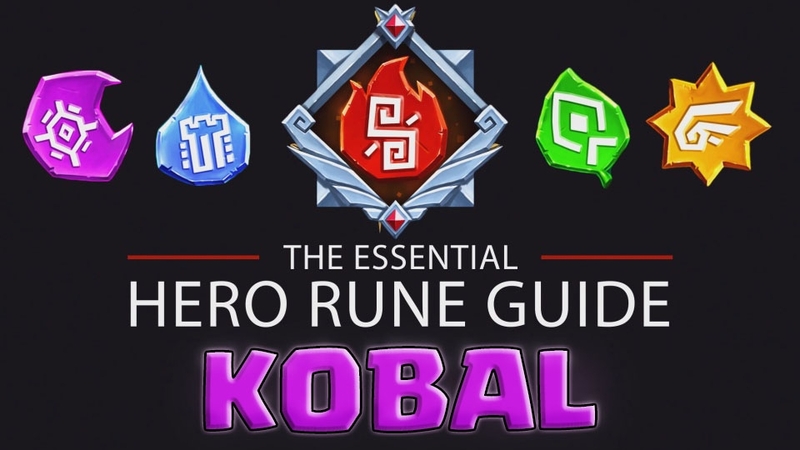 I've added my Superior Rune Guide here as it's relevant. 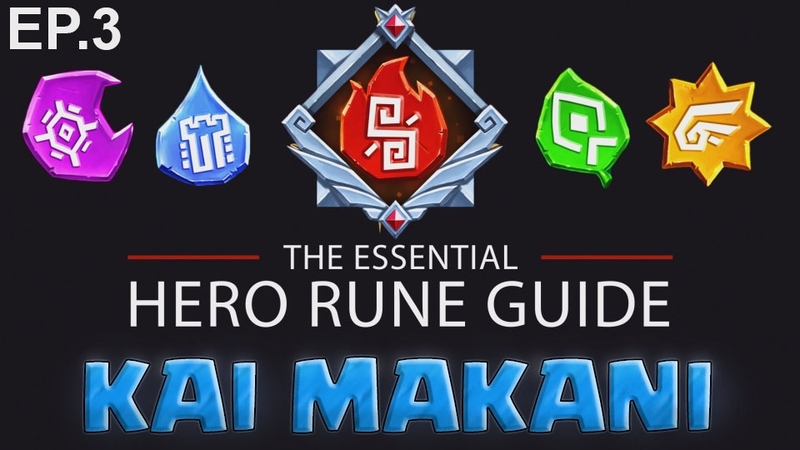 The principles here also apply to lower tiers runes too. Episode 8 - The Legendary Undead Team, Christmas Special. 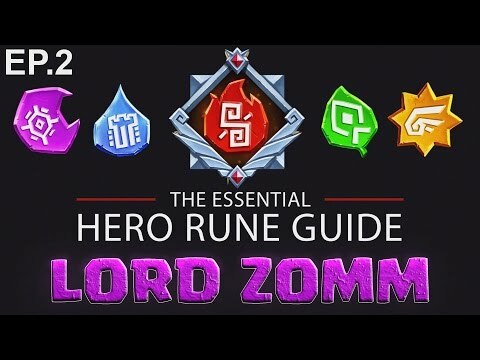 Remember to check our their leader, Lord Zomm, in the video above. We're always open to constructive feedback and suggestions, so please do comment and we'll take on board & implement where we can. I would recommend focusing more on non-obvious cases. I mean, of course you are gonna focus on Crit/Attack on a fast rogue like MK...or BD, or whoever. I think a spreadsheet or list of all the characters along with Special rune notes would be helpful instead of 1 at a time. You would point out interactions on why certain runes are good or bad on various dudes. Blk Dia - Crit runes to 50% mandatory due to 2.5x on crit boost. Pure attack/damage runes if using on Defense as 1st character, or solely on offense vs normal speed. I'd also like to hear what you say about certain ambiguous champs. Igorok - You think more tanky so he can survive, but really...past Polar Pounding he doesnt have much impact. Crit also has interesting interaction not only for more damage, but to keep FREEZING enemies who get critted. So there are tradeoffs. Ponti - Most boost Attack/Crit hugely and use with Zen offensively to kill. I actually spec him almost pure Defensive/Health/dodge and use him in defensive PVP. This makes him surprisingly hard to kill and he absolutely dominates past round 1 due to his self-buff, animate dead, self-heal, and self-rez. I've won 4v1 because attackers are out of gas on round 2 and simply cannot kill him. Zurk - Another tossup. On one hand, I want him to LIVE since goblins have huge healing power. BUT, him critting when he goes 1st is AMAZING to haste the whole party and give free attacks. Kai - do you spec offensively and use him as the 1st defensive dude? OR defensively so he lives long enough to use his annoying 2nd ability and buff defense for everyone? Most ignore Kai on 1st round anyways, so maybe some extra attack isn't so bad? I spec defensive currently. Augustus - Buff offense for 1 shotting demons? OR defensive? Nub nub -- boosting crit makes him incredible for healing on Revenge and great in PvE. But survivability is also very important. He already has lots of health, so focus on Defense? Sifu - boost crit so his attack pretty much guarantees Shock on the enemy and zaps rest of the team? Any potential for him to be a 1 shotter that avoids Kai defense capability? 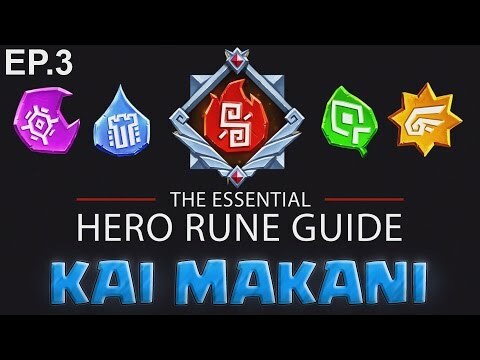 I support this rune guide. It will be very helpful IMO. I agree that the devs should help you guys out. You guys have to spend a metric crap ton of gold to try different builds and what not. That takes a long time and makes videos take longer to make. It'd be helpful if they helped you out. 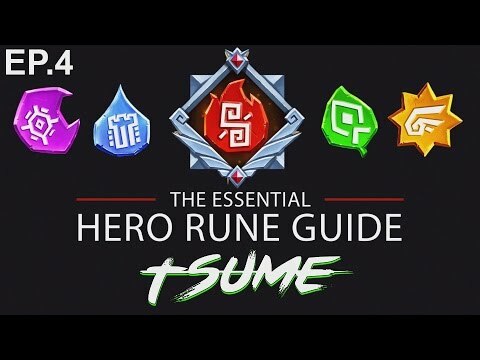 Overall I love this rune guide. Good work. Look forward to the Jabber guide! Maybe the devs could give you the amount of gold that it requires for you to make guide. Every time they "refund" the amount of gold it took for that rune guide. Or maybe even just a set amount every time to make it less of a burden. It has to take at least a few mil to do one hero. I mean I know I have an issue with gold. So I can't imagine how it is for you guys. Kai Makani and the Tsunami build is here! Good job as always, cannot wait till the one on Tsume comes out! Here's the Tsume one, @Zuggey ! 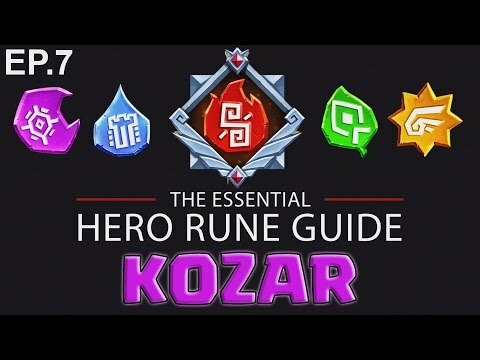 Love the idea of rune guides, hate the idea of having to watch videos for it (mostly because I learn/retain better while reading vs audio). Any chance of a spreadsheet or writeups? If you watch my last video on tsume, you'll see that I will now be making hero cards that will accompany each video. You can download those images and use them as a reference at your leisure. I'd like to put in a request for Astrid -- I find myself debating specifically on her red runes - I have a red Focus with defense on the 2nd stat.. is that better than a much stronger battle/power rune? Right now I have Red Battle + Power - rest Bulwark. I'll add into this - Furnace. I just unlocked him. 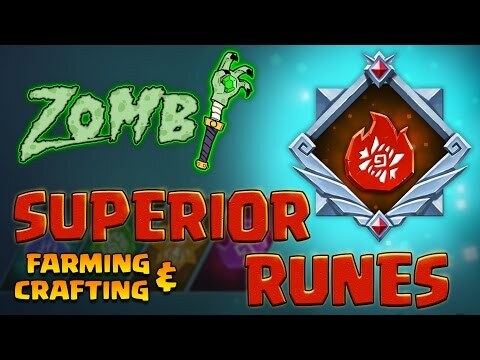 Curious with the Abs of Steel is it better to rune for defense, health, or damage reduction to make the most out of the skill. But he also has +15 HP buff from Legacy of Flame.. so stack HP? 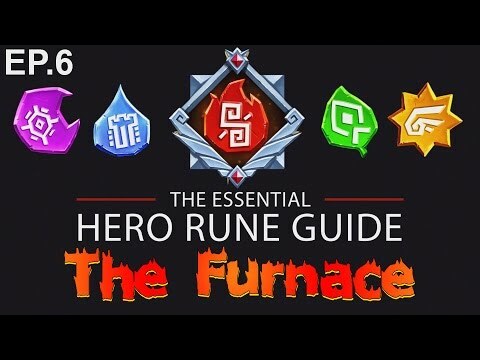 Latest rune guide is up guys! That's awesome.. and I saw the Easter egg at the end for Starskream's next one.. exciting! I suggest Julius, Bramble, Valkin or Aria for the possible variety of rune setups that can result! I'd like to see furnace, astrid, and vulcan. I like the stats on my vulcan, but I'm not sure if they are the right ones for his full potential.